We don't just believe in "better" - we've done it for 43 years. Dorset Interiors started life as Blinds and Fabrics in Stoke on Trent 43 years ago by John and Joy Moran. We probably were amongst one of the first to be both manufacturers of made-to-measure window blinds and made-to- measure curtains. This continues to-day but on the Dorset coast rather than North Staffordshire. We manufacture all types of quality window blinds, purchasing our components from the leading suppliers including Faber-Benthin, Hunter Douglas and Louvolite. 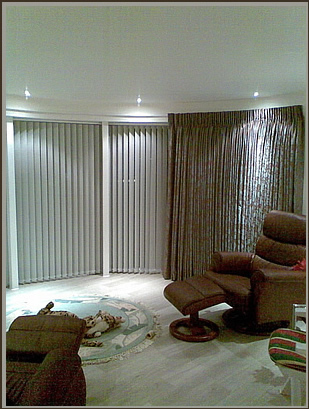 Our range of curtain fabrics has been chosen from the pick of the contemporary manufacturers.